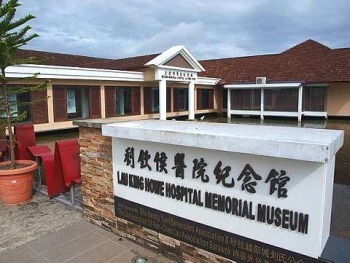 THE Lau King Howe (LKH) Memorial Museum in Island Road, Sibu, the only medical museum in the country, has impressed Health Minister Datuk Seri Liow Tiong Lai so much that he has promised to promote it to lure visitors. Malaysian Medical Association Sibu Chapter chairman Dr Hu Chang Hock made Liow’s recent visit a memorable one by briefing him on the A-to-Z of the museum. Dr Hu is the man who sourced the necessary funding to refurbish the museum and keep it intact. It is one of the tourism icons of Sibu. A few years ago, during the second phase of the Sibu Town Square project, there were fears that the museum would have to go. Dr Hu managed to convince local leaders to keep the museum and prevent the loss of part of Sibu’s history. A medical specialist by profession, Dr Hu was successful in getting the Sibu community and the Government to join hands in turning part of Lau King Howe Hospital (LKHH) into the museum. 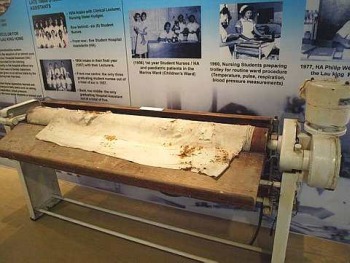 Useful tool: An old laundry drying machine shown the museum. “LKHH meant a lot to me. I was born there and so were my children. My mother passed away in it. Back in 1986, it was the first hospital in Malaysia I worked in – the place in which I learned, grew and matured professionally and personally. It was a place in which I could follow the shining example of Lau King Howe himself,” said Dr Hu. LKHH was built in 1931 and completed at a cost of RM82,000. Lau had proposed the hospital to the White Rajah as there were inadequate medical facilities at that time. He agreed to cover 50% of the building cost. The hospital on the bank of Rajang River benefited close to 300,000 people in the central region including those in Sibu, Kanowit, Kapit, Bintangor, Sarikei, Mukah and Dalat. 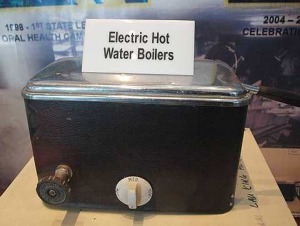 Old tool: An electric water boiler. Before the hospital was built, the sick went through much suffering. In 1931, the Third Division Resident C.D. Adams acknowledged Lau for his efforts and named the hospital after him. Lau and his family returned to China in the same year. He passed away in September of the following year. Dr Hu said that August 31, 1994, was a historic date as LKHH was moved to the new Sibu Hospital, resulting in the conversion of the LKHH outpatient ward into the museum. Old but useful: The dental surgery section. The museum was designed to remember and perpetuate the spirit of Lau King Howe – his sincerity, inner goodness, benevolence, generosity and profound love for the sick, poor and disadvantaged, he said. It is educational as it illustrates the changing pattern of illness from infectious diseases such as diphtheria, malaria and tuberculosis, which were prevalent from the 1930s to the 1950s, to the chronic diseases of today such as diabetes mellitus, hypertension and heart disease. It also illustrates the progress of medicine. 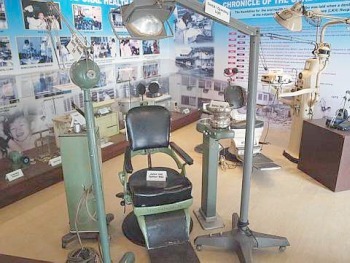 One can find exhibits of LKHH equipment and illustrations of modern equipment available at Sibu Hospital. The museum is solemnised by a statue of the late Lau. Visitors can also see records of Lau’s life and pictures and materials depicting the development of the hospital and other hospitals in Sarawak. The museum’s opening hours are from 9am to 5pm from Tuesday to Sunday (including public holidays). It is closed on Monday. Entrance is free.